Over the week, British car magazine Autocar reported that the beloved McLaren F1 would be reborn in 2018 as the “hyper-GT” with a price of well over $2.6 million. But if you’ve already started saving your pennies, slow down a bit—according to reports, McLaren’s CEO shut down that rumor. The denial of a new three-seater supercar from McLaren CEO Mike Flewitt came at a financial-results meeting for the company, according to both Car and Driver and the Top Gear website. The rumored F1 successor was said to feature a central driving position just like the original, and the Autocar story even said how many of the cars would be made—64, just like the original fleet of F1s. The original Autocar story featured multiple renderings of what the now-denied F1 successor could look like. But without noticing the small “Autocar” markings in the photos, it would take readers until the very last paragraph to find out that the renderings were “speculative.” Its sources remained anonymous, but said the car would have a modified version of the manufacturer’s staple 3.8-liter twin-turbo V8 engine. That would make for more than 700 horsepower and a top speed of over 200 mph. 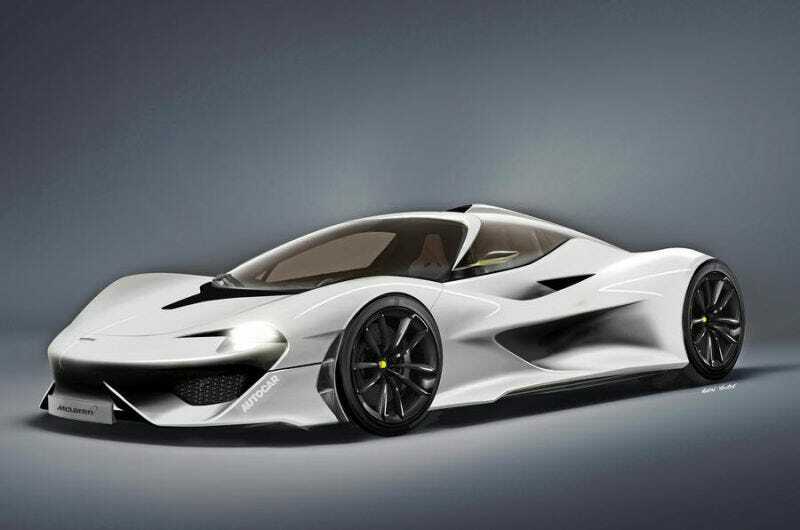 The renderings were good—though the website wasn’t totally upfront about them—and the report was hopeful, but there won’t be another McLaren F1 in the next two years. There won’t be another F1 ever, if Flewitt’s vision remains. Some things just can’t be replicated.